The ulster championship has proved to be unpredictable and notoriously tough to come through in past, will this year follow the same pattern? When you cast your eye over the winners from the last six years there have been only three teams sharing the spoils – Tyrone, Monaghan and Donegal. 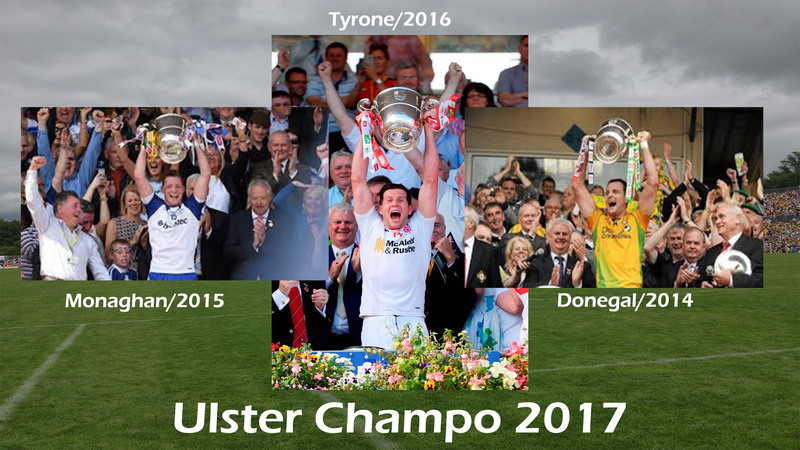 The last team to have back to back success in the ulster championship was Donegal back in 2011/2012 and before that it was Tyrone in 2009/2010. The red hands will be hoping to repeat their past success this year and they are in a great position to do so. The league results this year reflected the same pattern that only three ulster teams are in with a chance of winning- Donegal, Monaghan and Tyrone. This years’ league results between the three – Tyrone beat Monaghan (0-14) v (0-10), Donegal drew with Monaghan (1-11) to (1-11) and Donegal beat Tyrone (0-12) v (0-6). Monaghan also beat Kerry, Kerry ran out as league winners beating Dublin by a point. Looking at these results we can see just how competitive this years’ ulster championship will be and it will be very interesting to see which team has learned the most. One thing we do know is that great hunger is required to capture the Anglo-Celt cup and Tyrone will have to show the same dogged determination if they are to have any hope retaining their title as skill alone will not win an ulster championship. With Mickey Harte on his last year of contract we expect a big backlash from Tyrone’s league performance. No major injury worries for Tyrone either to contend with although McAliskey is still out with cruciate knee and the retirement of big Joe McMahon would have been a big disappointment in the camp to deal with. With both Tyrone and Donegal expected to win handily in their opening games they will face each other in an Ulster semi-final. This is the ultimate test for both teams, Donegal were physced for the league game against Tyrone whereas Tyrone lacked the hunger and didn't seem up for it. Tyrone will learn more from this game than Donegal but if they lack the hunger I can see the same outcome. Too much emphasis was put on winning an ulster title for Tyrone last year and they ran out tired in the end. This year they should focus all their energy on the bigger prize and if they do so I would expect them to get further than last year.